CNN has no problem showing anti-Semitic cartoons or US soldier snuff films on air. 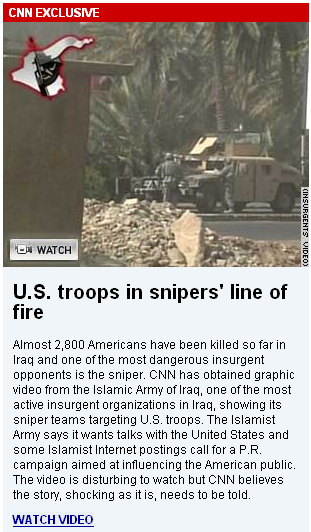 CNN aired video of an Islamist sniper shooting at and killing a US soldier in Iraq. But, they have to draw the line somewhere. 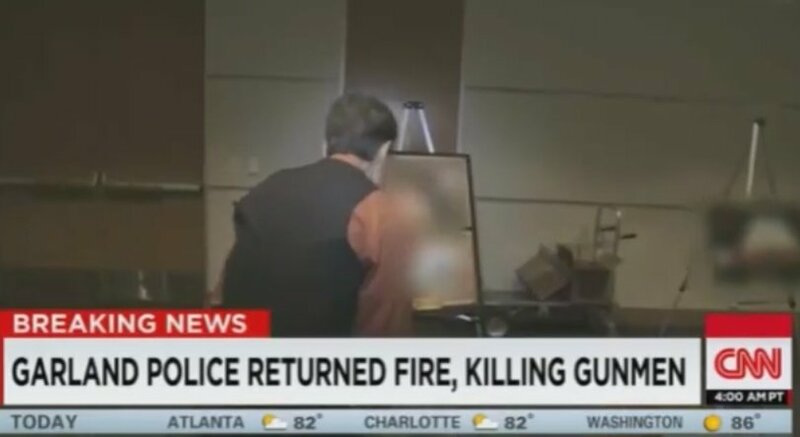 CNN blurred photos from the Draw Mohammad Contest during their reporting this month. Today CNN host Chris Cuomo lectured Pamela Geller on why she should not display the Mohammad cartoons.